At today’s Facebook Mobile Event, CEO Mark Zuckerberg has announced updates to their acclaimed iPhone and not-so acclaimed Android app. 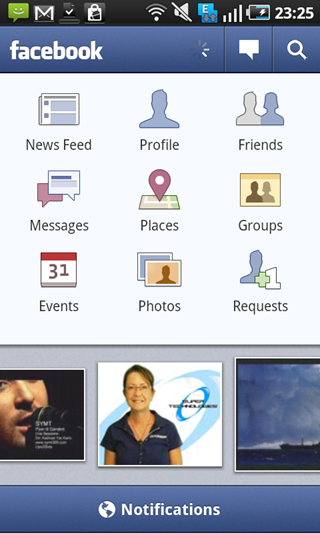 The Android application finally gets Facebook Groups and Places integration. Groups allows you to stay up to date with small groups of friends and share things within a private space. Places, on the other hand, is Facebook’s version of checking-in to places a la Foursquare and Gowalla. Both features, which were absent in Android, will be included in the app update. I haven’t tested it myself yet, but @kursed on Twitter reports that Facebook for Android finally has the ability to open notifications from within the app! This was one of the bigger reasons why I simply didn’t care for the app in the days past. It felt more like a web wrapper than anything else. Not anymore! Yay! The app is out now on Android Market, get it while it’s hot!